I asked my son to fetch me a drink of water. Let me fetch a chair for you. We used to go and fetch milk from the farm. I have to fetch my mother from the station. 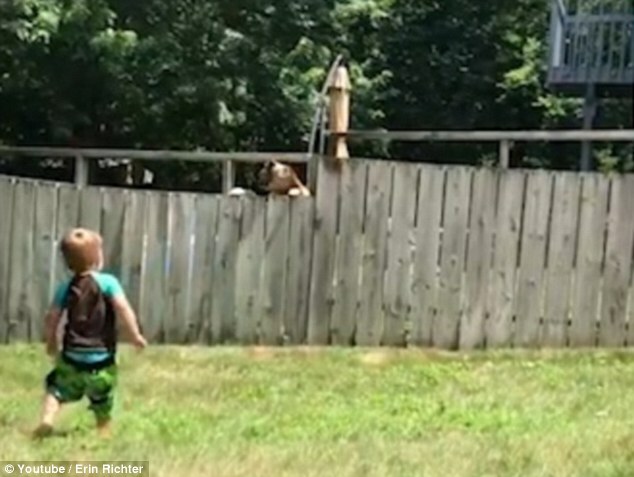 The dog, which can barely been seen through the slats, then chases the ball and catches it with its mouth. 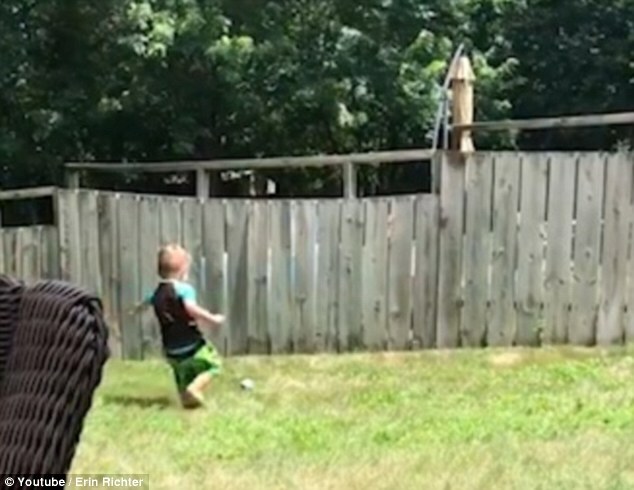 He jumps up and passes it back through a hole in the fence before the toddler picks it up and the game starts all over again. 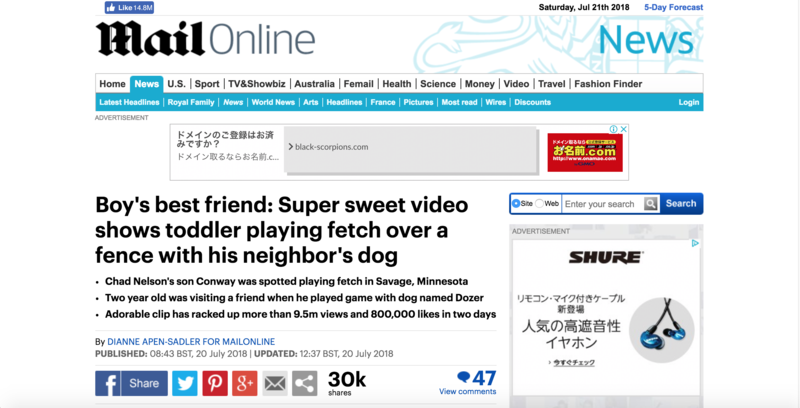 The adorable footage has racked up more than nine-and-a-half million views and 800,000 likes in just two days. 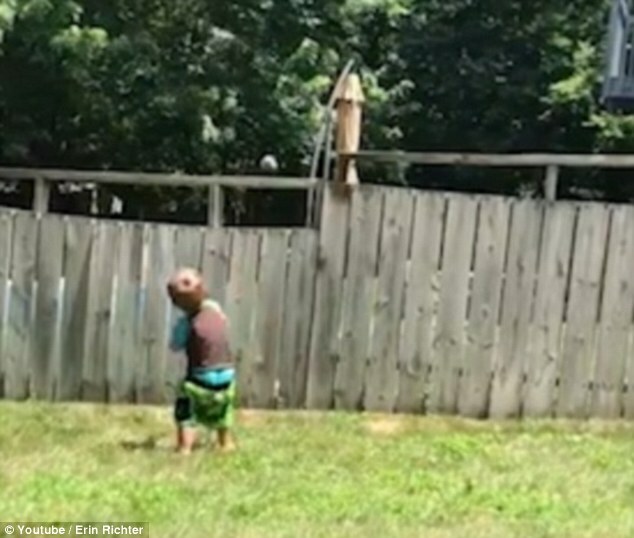 The video was recorded by Erin Richter, who invited Mr Nelson’s son Conway over for a play date when he started the game with the neighbor’s dog Dozer. 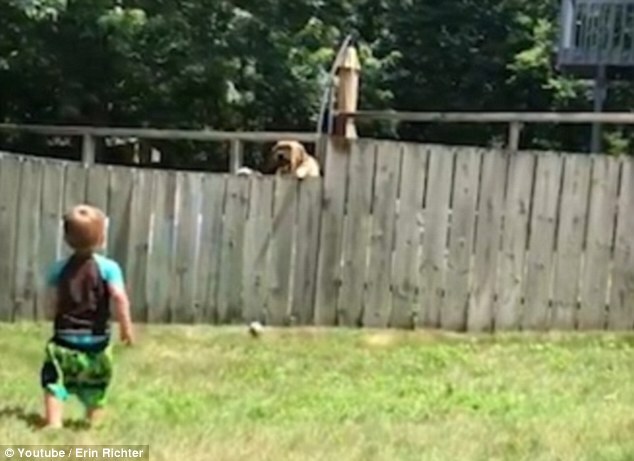 Ms Richter told BuzzFeed: ‘My son and Dozer play every time they are both outside. He picked his daughter up from school then drove her to a friend’s house for a play date. I’ll bring my holiday photos over when I come. He’s bringing his new girlfriend over to our house tonight.